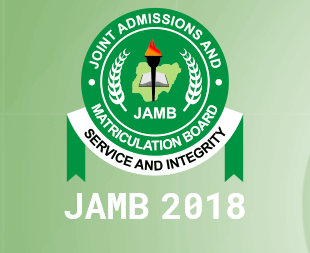 The Joint Admission Matriculation Board, [JAMB] 2018 Unified Tertiary Matriculation Examination [UTME] Supplementary/Mop-Up Examination Date, Eligibility and Reprinting of Exam Slips Notice for 12,000 Candidates Slated for May 26th, 2018. Information reaching us confirms that the Joint Admissions and Matriculation Board, JAMB has slated a date for the reschedulement of the 2018 Unified Tertiary Matriculation Examinations for more than 12,000 candidates across the country. More than 12,000 candidates are expected to sit for the mop up examinations in a few of its centres across the country. Candidates whose Biometrics were not captured during the initial registration period of the UTME in March. Candidates yet to their results since the end of the examinations in March till date and have not been involved in any form of malpractice. Candidates who were unable to print out their e-slip before the earlier examinations. Candidates whose centres were cancelled for suspected malpractices. There are centres that were cancelled because of suspicious activities but the board was unable to identify the actual culprits. These candidates are also eligible for the mop-up exams. Candidates who were involved and caught in illicit acts and centres where a case of malpractice had been established against them would not partake in the rescheduled examinations. Candidates who have fallen into any of the categories above to print their e-slips from Monday, May 21st, 2018.